The 49-year-old knees still bend and the man peeking from behind the catcher’s mask seems to know what he’s doing. And why not as it’s Brad Ausmus, the Del Mar resident who played for the Padres during his 18-year career. Ausmus is in an Angels uniform now and that in itself takes some time getting used to. It’s the first time since 1999 that Mike Scioscia hasn’t been the team’s skipper as he was replaced by Ausmus in the offseason. But remove Ausmus’ tools of ignorance? No way and Ausmus was showing the way for his catchers, and pitchers, while taking part in a bullpen session at spring training. One day, it was a North County connection as Ausmus was on the business end of ex-Vista High standout Trevor Cahill’s offerings. Cahill’s observation is spot-on. Although the salt is gaining on the pepper in regard to Ausmus’ facial hair. Otherwise the handsome Ausmus looks like someone aiming for the roster. His build is such that the Angels might break the internet if transmitting another shirtless photo of the man that makes hearts go pitter-patter. Just then Ausmus was asked about a pitcher with an aching arm. Ausmus saying he wasn’t concerned, comparing it to being sore after working out. “I don’t work out,” the scribe said. While that was evident, Ausmus bit his tongue. It’s clear Ausmus still does and he has to get the Angels in shape, too. 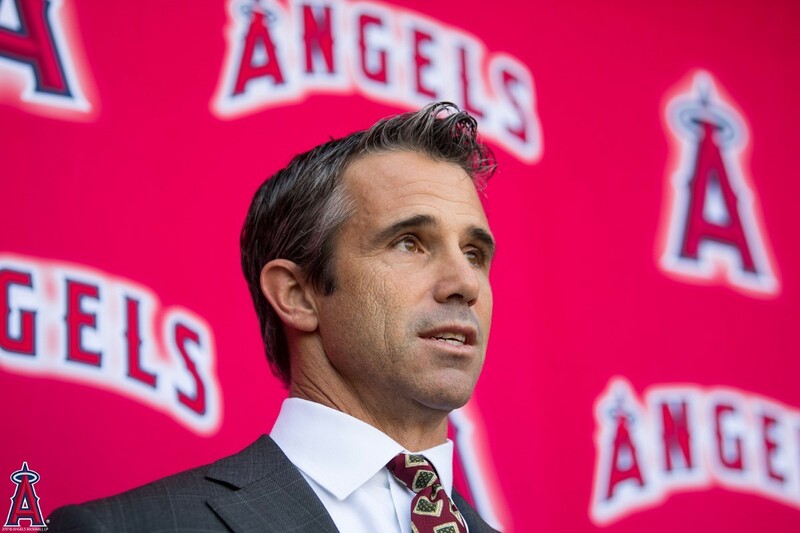 Ausmus joins a foursome of major league managers with North County roots. There’s the Dodgers’ Dave Roberts (Cardiff), the Rockies’ Bud Black (Solana Beach) and the Giants’ Bruce Bochy (Poway). The foursome faces various challenges as the season plays through. Ausmus, who once handed off his Cardiff rental to a promising reliever named Trevor Hoffman when he was traded from the Padres in 1996, might have the toughest task. He’s asked to direct the Angels to the playoffs for the first time since 2014 and show soon-to-be-free-agent superstar Mike Trout that the squad is on the right track. Roberts only has to be the first manager ever to lead the storied Dodgers to the World Series in three consecutive seasons. The Dodgers last advanced to consecutive World Series in 1977-78, but it wouldn’t be until 1981 that they won the title with that group of players. Black, who recently became a first-time grandfather, is chasing franchise history as well. No Colorado manager had led the Rockies to back-to-back playoff appearances until Black turned the trick last year. To do it three straight seasons, after recently agreeing to a three-year extension, could have Black obtain legendary status with the Rockies. Bochy, a former Padres manager like Black (and Roberts, for one game) might have the steepest mountain to climb. While Bochy has won three World Series with the Giants, which will land him in the baseball Hall of Fame, his collection of players this year doesn’t look much better than last year’s bunch which lost 89 games. Hopefully, Bochy can find the magic one more time as he’s announced this will be his last season. The biggest transformation is being embraced by Ausmus. The Dartmouth graduate brings an old-school style from being a hard-nosed player and blends it with a new-school approach which delivers data-driven analysis.